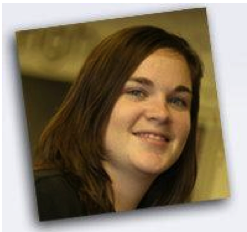 Heather Burlesci is an Associate Product Manager for SecureDocs here at AppFolio. She’s a core member of the team that’s pushing innovative new developments in SecureDocs in response to market needs. Read on to learn more about Heather and her work. Tell us a bit about your background. How did you arrive at AppFolio? I grew up in Northern California and went to college in the Bay Area. I came to Santa Barbara to visit some friends and fell in love with its beauty, so I moved here shortly after graduating. I worked, primarily in operations, for a mobile computer support company for eight years and then came across AppFolio. I had heard great things about the company and after meeting the executive team, knew I wanted to make a career of working here! I was originally hired to provide customer support for SecureDocs, before it had been completely developed, had a name, or even customers, really. It has been so exciting to see the amazing progress our developers have made on the product since then, and that SecureDocs is being used by our customers to manage their most critical business events. As an Associate Product Manager, what are your roles and responsibilities? A Product Manager has many responsibilities and that is one of the reasons why I love my job! I have been in Product Management for just under a year, so I’m still learning new things every day. But I am learning from an amazing Product team! As the title suggests, rather than managing and being responsible for the success of a team of individuals, my focus is the success of our product. This encompasses many things, some of which are very tactical and others more strategic, like the overall vision of the product. I work with Development, Marketing, Sales and Customer Support teams to share this vision and collaborate on solutions for our product to best solve our customers’ problems. Listening to our customers, understanding their pain points, and seeing how they use our software are critical parts of our discovery/development process. It is one of the keys to building a successful product. Overall, it is a very rewarding position and I love that I get to define the vision for our product, help design solutions to our customers’ problems and work with all parts of our amazing organization in the process! Very rarely will you find me sitting at my desk! My typical day starts with “standup” meetings with our development teams, to stay in the loop of their progress and any roadblocks standing in their way. After checking in with the developers, I spend time with the Sales, Service and Marketing teams to hear the latest news, answer any questions they may have, and give them development updates. I also spend time reading customer feature requests and reviewing support cases to better understand the needs of our users. I’ll regularly reach out to them and set up calls to further understand these needs. On a weekly basis, I meet with our development team to present new ideas and problems to solve. Then they come up with innovative ways to implement them, and estimate the development effort needed to build each. From there it’s a matter of prioritizing which item we should work on next. Every two weeks the team gets together to define what they will work on during the upcoming “sprint” and we release each item to customers once they have been built. What do you feel is the coolest, knock-your-socks-off feature of SecureDocs? I think the best feature of SecureDocs, which we’ve had since we built the product, is the two-factor authentication. Companies are storing their most confidential documents online and quite frankly, they aren’t secure if two-factor authentication is not being used to protect their accounts. Over one third of computers are infected with malware and reports indicate that 90% of user passwords are vulnerable to hacking. If your account isn’t protected with two-factor authentication, a feature that most other data room providers don’t have, it is almost inevitable that it will be hacked at some point. Is that a risk you’re willing to take with your confidential corporate documents? How do you keep on top of what your clients will need next (not just tomorrow, but even next year) from their virtual data room? We listen very closely to what our customers say. It goes deeper than just reading and listening to features they request. But really getting to the core of what problems they experience at the office or in the middle of a transaction. Once we understand what their pain points are, we can come up with innovative solutions to make their lives easier. We read every support ticket and feature request that comes in, we talk to customers and even make visits to their offices to listen and observe their practices. Let’s see, when not working on some sort of DIY project at home, my boyfriend and I love to go camping with our dogs or go dirt bike riding. There are so many great places to go in Southern California so we try to plan little getaways on weekends where we don’t have other commitments. Last year we took our first stab at home brewing, which was a lot of fun, and we’re hoping to make another batch here soon. I also love playing beach volleyball (a group of us at AppFolio actually go on Friday during our lunch break, which is SO awesome) and I just joined the AppFolio softball team, which plays every Monday night.